Purchase your property in Italy and rely on the experience of Alba Toscana Immobiliare, your local English speaking Real Estate Agent. Alba Toscana Immobiliare acts as an intermediary in the purchase process of your house in Italy and offers its services in English. Buy your dream house in Italy now, together with an experienced English speaking Real Estate Agent, which is recognised in Italy. Surely buying a house is not something you do everyday, and certainly not abroad or in Italy. This is why you better be assisted by a local experienced English speaking real estate agent. Moreover, buying a house in Italy often involves risks. Your real estate broker, Alba Toscana Immobiliare, follows the sales process from the beginning to the end. First up is the selection of possibly suitable properties. Viewings are planned with other real estate agents in Italy. After the visits, the various possibilities are evaluated together with the buyer. This is followed by the negotiating phase, the inspection of the documents and finally the conclusion of the sales contract. The buying process ends in the office of a public notary in Italy where the final contract is signed and registered. Your real estate agent is also your interpreter during the entire purchase process. Your real estate agent explains the buying process in Italy step-by-step as well as the differences with the buying process in your country in your own language or in English. Alba Toscana is your English speaking real estate broker and is established and recognised in Italy. This simplifies the contacts with other Italian brokers, which represent the seller in the negotiation process. Alba Toscana will be your agent and will have your best interests at heart. Finally it is highly probable that you will have many questions and you will best understand the answers to these questions in your own language or in English. Are you looking into buying a house in Italy? Contact Alba Toscana Immobiliare. The manager of the agency, Kris Mahieu, originally from Belgium, has been living in Italy for more than 10 years. He has a university degree Translator English Italian and he followed a professional training in Italy to become a recognised real estate agent. Since 2009 he helps customers from all over Europe with the purchase of apartments, holiday houses or villas in Italy. His experience and languages skills are a guarantee for the buyer throughout the adventurous purchase process. 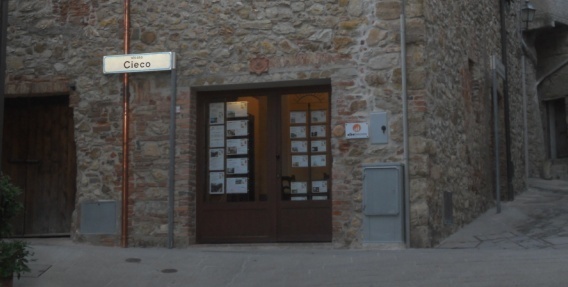 The office of Alba Toscana Immobiliare is located in central Italy in the region of Tuscany. Alba Toscana Immobiliare is mainly active in the regions of central Italy which are popular with foreign buyers, such as Liguria, Emilia-Romagna, Tuscany, Umbria, Marche, Abruzzo and Lazio. Here you can read more about Alba Toscana Immobiliare. Avoid misunderstandings or unpleasant surprises when you purchase your house in Italy and get assisted by a local English speaking real estate agent. Rely on the experience and the services of Alba Toscana Immobiliare. Alba Toscana Immobiliare will be present at SECOND HOME EXPO in Belgium as an exhibitor, from 15 to 17 February 2019. Please click below to order your free entrance tickets and pay a visit to our stand (no. 618) in Flanders Expo in Ghent, Belgium.